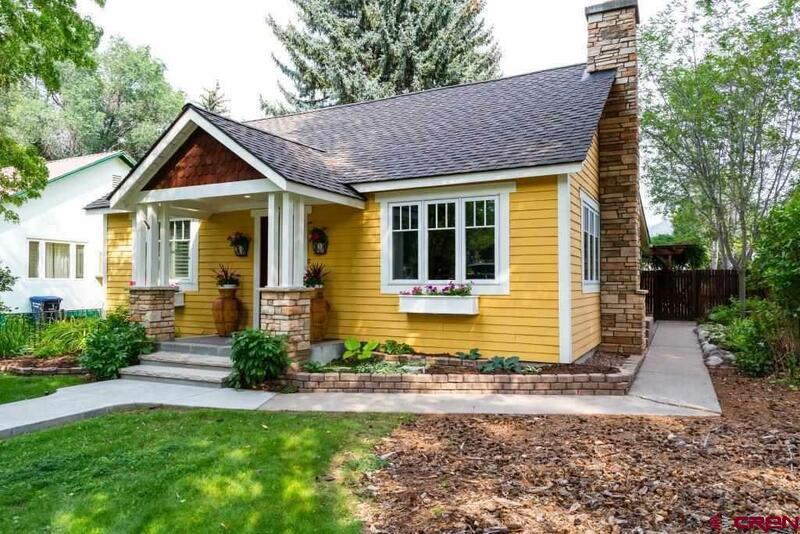 Charming 1940s bungalow was beautifully remodeled to the Craftsman style in the mid-2000s. This 4-bedroom home has an upstairs flex room that could be used as a 5th bedroom with closet, home office, den, or workout room. Main-level master bathroom has a jetted tub, heat lamp and travertine tile. 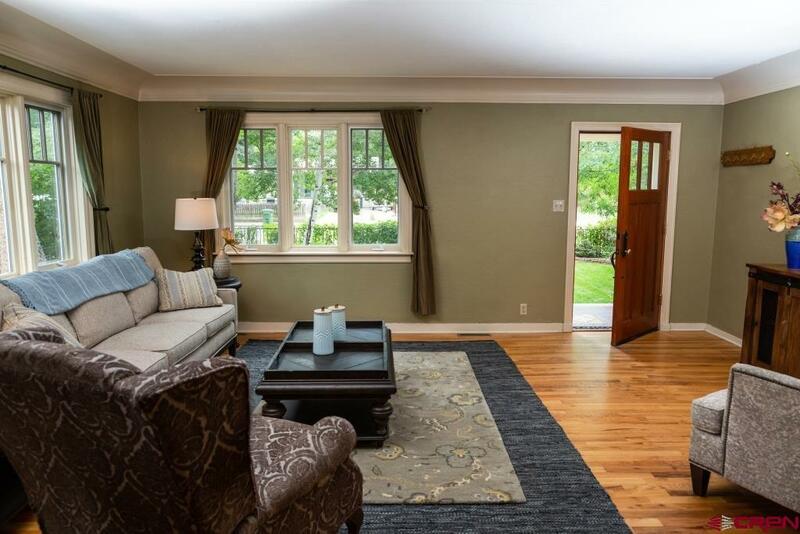 Home details include hardwood floors, glass block windows and etched glass panel French doors. 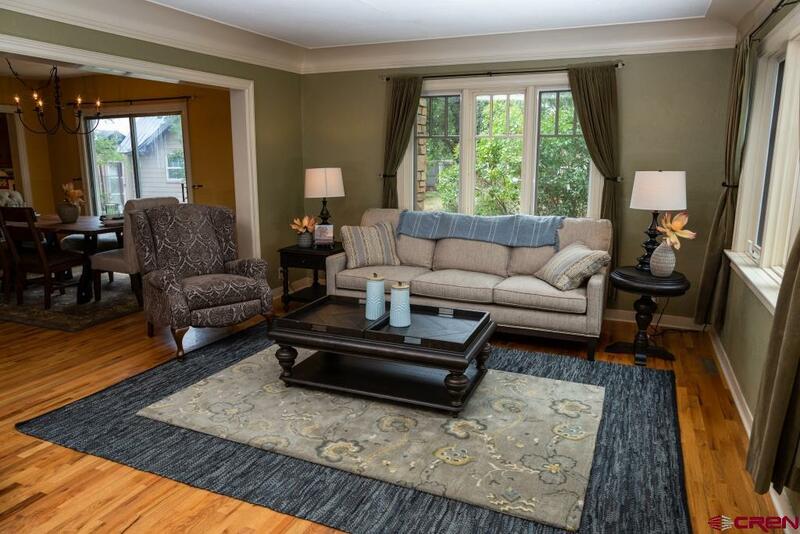 When the snow flies, this location is very CONVENIENT to several schools, local dining, retail shopping, Rec Center, coffee shops, fair grounds, river path, and public transit all within just a few blocks. Curb appeal is exceptional with stacked stone pillars and professionally landscaped yard with sprinkler system. This is a GARDENERS PARADISE with a wide variety of blooming plants and chefs vegetable/herb garden in raised beds. Root cellar in basement to store garden harvest. The recirculating water feature provides a tranquil setting under the custom sun shade covered pergola wrapped in vines of honeysuckle and purple wisteria above 15x28 foot patio. Plenty of storage with built-in shelves in finished basement and 12x20 backyard shed next to 2 alley-access parking spaces for convenient OFF-STREET PARKING. Owners raised their 3 children here enjoying the large family room downstairs, designed in rustic authentic barn wood and stone fireplace, while entertaining in the backyard oasis and preparing gourmet meals on the 6-burner Viking stovetop in the kitchen right off the patio. 2016 Frigidaire side-by-side refrigerator is counter-depth for good flow in this kitchen. 18-MONTH HOME WARRANTY INCLUDED. **See Associated Documents for Square Footage Disclosure indicating 3,351SF from prior appraisal and 2,838SF from Assessor's Office. ADU and DUPLEX potential on this 8,360SF lot in EN2 (see EN-Established Neighborhood map in Associated Docs). Some photos in MLS were taken when home was professionally staged. DISCLOSURE: 3D Rendering of kitchen and basement are computer generated "staging to show Buyer potential of what could be done at their expense.